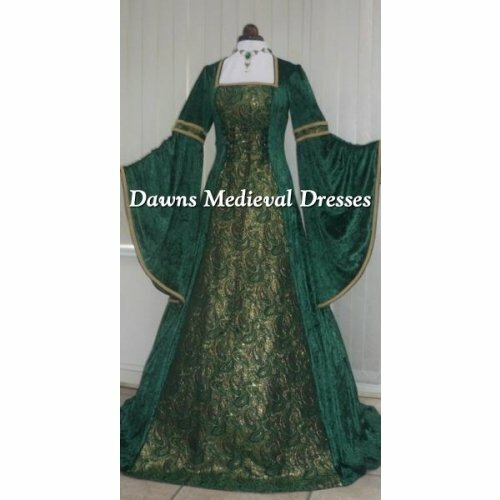 My experience with Dawn's Medieval Dresses was phenomenal from beginning to end. I had spent days scouring the internet for a quality dress such as this. One made of decent material, that would not fall apart after one wearing, and one that fit me. I am a big girl and it is quite difficult to find decent costumes and themed items like this, that are made of quality material. I placed my order, and stupidly forgot to include my measurements. So I sent a quick follow-up email to Dawn with all of my information. The next day I received a response letting me know she got my message, and will fulfill the order asap. My dress shipped out a little over a week later. I was so excited to try on my new dress, and it was amazing. 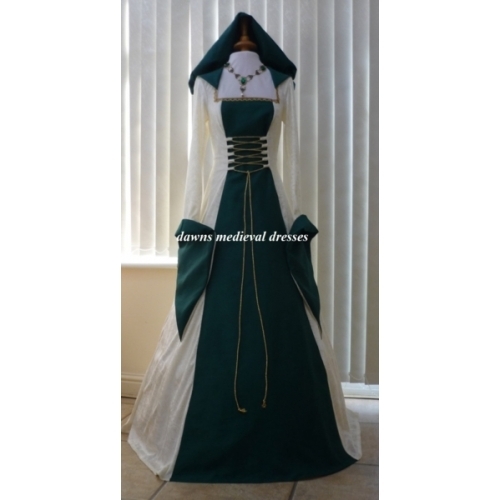 I always wanted a Renaissance dress, so this was a childhood dream come true. The dress fit me to a T.
I tell everyone whether they ask order not, where I got the dress. So thank you so much Dawn, you are amazing, and your work reflects that.